Forest Hill Society: Community says “NO” to loss of Park! The Honor Oak Recreation Ground is a much loved and valuable resource for people in Forest Hill, Honor Oak and further afield, many of whom have no external space or garden access. The users of the space have been right over the years to suspect that Southwark Council has been planning to take even more of the space for burials. 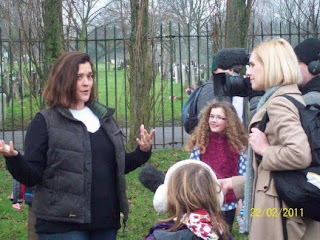 TV cameras at the Rec (cemetery in the background) Local authorities encourage residents to take more exercise and are active in promoting sporting opportunities for all. But then Southwark move to take away the very sites where these activities can take place. Southwark's Executive Cabinet recently announced it will be reviewing the ground for more burial space. 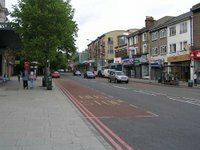 With the formation of an online petition by local residents against the move, the Forest Hill Society acted quickly to ensure that as many people knew about this as possible. We raised the issue on the Today programme and BBC London News with interviews with FHS Chair Richard Hibbert and Councillor Alex Feakes. 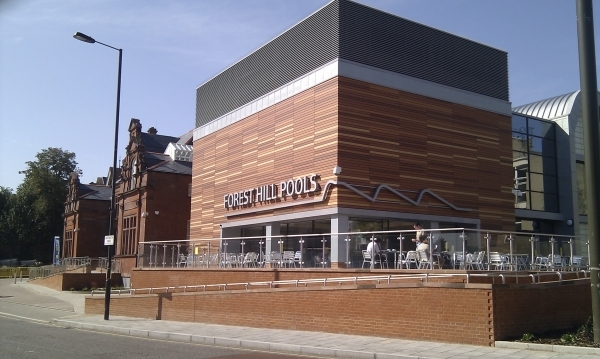 Because of the activity and views of local residents, and coverage in the national media organised by the Forest Hill Society, the meeting, scheduled for 28 February, was moved to the end of March. So there's more time to ensure that we don’t lose this considerable local amenity and leisure space.